One of the truly great things about retiring is that you have all the time in the world to do whatever you choose to do. And, for people who are keen on travelling, this is when you can 'realise the dream'. No longer tied into two weeks holiday, it is the ideal opportunity to take the trip of a lifetime - after all, you have earned it! New Zealand continues to be one of the top destinations for Brits - particularly during our cold and wet winter months when the chance to bask in warm sunshine becomes more appealing by the day. But New Zealand's long and balmy summer is just one small part of New Zealand's attraction. New Zealand is like a world in miniature. This is not just from a landscape point of view, encompassing snow-capped mountains; majestic fjords; bubbling mud pools; geothermal valleys; endless miles of golden sandy beaches; turquoise lakes and dramatic coastlines. New Zealand also has a unique 1000 year old Maori culture intertwined over the last 200 years with successive waves of Northern Hemisphere migration from countries as far field as Scotland, France, India, South East Asia, China and the Americas, making it a true melting pot and giving New Zealanders a proud and unique identity. Whilst the flight may take 24 hours, the journey to New Zealand can include a number of stop over destinations, with most airlines including at least one break in your journey at no extra cost. This gives you the opportunity to visit such far flung destinations as San Francisco, Hong Kong, Singapore, Dubai and Sydney. The long haul aircraft that fly to New Zealand are spacious with up to 33" seat pitch, even in economy, and most come well equipped with personal entertainment systems including on-demand movies and music and a wide choice of drinks and meals, with recipes created by world-renowned chefs. Although December, January and February are considered by many as New Zealand's summer months, and are comparable to July and August in the UK, the shoulder season months of November, March and early April can offer fantastic weather - but without the crowds. Amongst the benefits of travelling in this period are cheaper prices for flights, accommodation and transport. 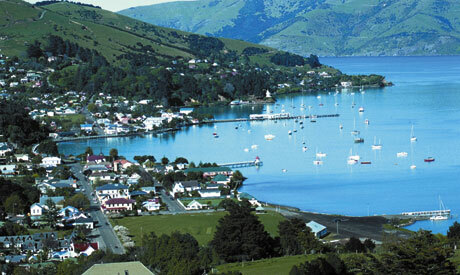 Ideally you need to spend at least three weeks in New Zealand just to get a taste of this vast and beautiful country. New Zealand is made up of two main islands, simply known as the North Island and the South Island, with the smaller Stewart Island (Rakiura) to the South. The majority of visitors will fly into either Auckland (North Island) or Christchurch (South Island) and many airlines provide fares that enable you to fly into one and out of the other, saving you not only time but the cost of a second ferry crossing. New Zealand Travel Specialists, Kirra Tours, have a range of itineraries that can be tailor-made to fit your personalised requirements, including escorted coach tours for those people who wish to let someone else do the driving. These can range from simple one-week tours on one island to a 21-day ultimate New Zealand experience which includes an overnight cruise on the fjords; exploring the gold mines and beaches of the Coromandel Peninsular; sailing on Auckland Harbour, and walking through some of New Zealand's most spectacular tracks. Kirra's fleet consists of ultra modern, predominantly Volvo coaches with professionally trained Coach Captains who pride themselves on superior customer care. They currently offer a choice of 30 tours with some 1800 departures throughout the year, from Auckland, Christchurch and Wellington, offering maximum flexibility. Although larger than the United Kingdom, New Zealand has a population of just 4 million, which means that, should you choose to, you really do have the opportunity to get away from it all. Self-drive holidays, with a range of accommodation including farm stays, self-contained motels, hotels and unique bed and breakfasts are very popular. You can design your itinerary on your own personal theme, be it your ultimate golfing holiday; walking world-renowned tracks; experiencing New Zealand's unique natural fauna and flora - or how about following New Zealand's classic wine trail taking in world class vineyard and wineries? 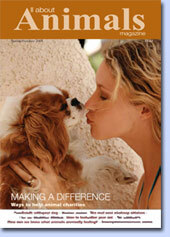 The choices are endless - but you can be sure that there will always be accommodation to match your expectations! For most people, New Zealand conjures up images of wide open spaces and majestic scenery. There are many ways to experience this, with a large variety of walks for all levels of fitness, from one-day guided walks through to six-day mountain treks into untouched wilderness. Newly introduced walks include Kaikoura Wilderness Walkway, where the breathtaking scenery includes the beautiful mountain 'Te Ao Whekere', a Maori name which literally translates as 'World of the Gods'. Another option is the recently-opened Hump Ridge Track in the south western corner of the South Island, which features very well appointed back country huts in a spectacular bush and alpine environment overlooking the Southern Ocean. Meanwhile, every town and city in New Zealand has something unique to offer. For most people Auckland will be their first port of call. Known as 'the City of Sails', there is no better way to see the city than one of the many sailing or cruising tours available. If you don't want to stay in the city, why not head out to Waiheke Island, which is just a thirty minute ferry ride away. Renowned for its arts and crafts studios, some of New Zealand's most respected work in recent years has been produced here. Just 2 hours drive from Auckland is Rotorua, New Zealand's 'not to be missed' cultural and geothermal centre. The essence of Rotorua is its Maori cultural identity, giving you the opportunity to journey back in time to a pre-European lifestyle of customs and traditions. Here you will discover the tribal songs, myths and legends of this indigenous South Pacific culture. Some of New Zealand's most iconic images are Rotorua's bubbling mud pools and boiling lakes with an artist's palette of mineral colours. Still on the North Island, Wellington is New Zealand's capital and anyone travelling between the islands by ferry will enjoy stopping in this cosmopolitan city. Incredibly compact, the best way to discover its magic is on foot - and with over 300 cafes, bars and restaurants it rivals the world's top culinary destinations for flavour and variety. Home of New Zealand's national museum, Te Papa (our place), a visit here will introduce you to all aspects of New Zealand's vibrant culture, dramatic history and unforgettable landscape. One of the most stunning ferry rides in the world will take you from the capital city across the Cook Strait and through the beautiful Queen Charlotte Sound to Picton at the top of the South Island. From here drive the spectacular coastal road to Christchurch, stopping off if you wish to visit Kaikoura, famed for its year-round whale watching cruises. New Zealand's cathedral city, some people consider Christchurch to be almost more English than its English namesake! With leafy tree-lined avenues and beautiful parks and gardens, at the city's heart is the Cultural Precinct with its speciality shops and restaurants, art galleries, markets, theatres, exhibitions, lunchtime concerts and open air entertainment. Christchurch also is home to New Zealand's second largest international airport, so for some this may be your entry city to New Zealand. The South Island's 'adventure capital' is Queenstown - but it is equally famous as the world's most southern award-winning wine-growing region. Steam engine buffs will enjoy a trip on 'The Kingston Flyer', New Zealand's famous vintage steam train, and also the SS Earnslaw, the last of New Zealand's lake steamers. For many people, Queenstown is the starting point for visiting New Zealand's famous fjords. 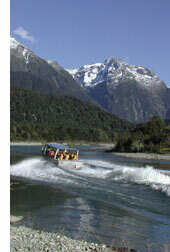 A day or overnight trip on Milford or Doubtful Sounds will be one of the highlights of the holiday. 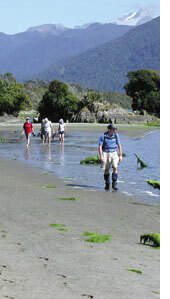 To really get away from it all head across to New Zealand's third largest island, Stewart Island. With a population of less than 500 people and 75 per cent of the island a national park, it is one of the best places to experience New Zealand's wildlife in its natural setting, including the iconic national bird, the kiwi. The only downside of visiting New Zealand is that once you have been there once, like so many others you will want to return again - and before you know it you will be planning your next itinerary to this vast and beautiful country!